Daylight savings- time to spring forward! 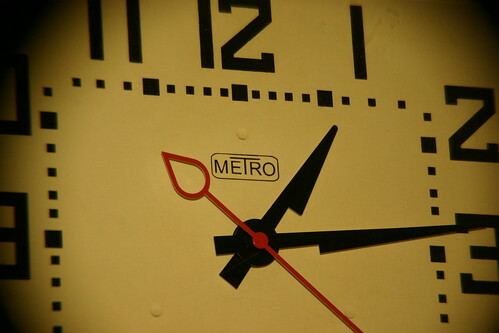 Groovy clock photo by flickr user Dave Stokes. It’s that time of year- daylight savings time. Don’t forget to set your clocks ahead an hour on Saturday night, March 12, 2011. Another sign that spring is around the corner! Now it will be a little darker in the mornings, but light later in the evenings! Which means a later sunset, too. To me, it makes the days seem definitely longer (but I am not a morning person to begin with). I personally like the falling back more than the springing forward. I’m not a morning person either…and losing the hour really hurts for a few days.